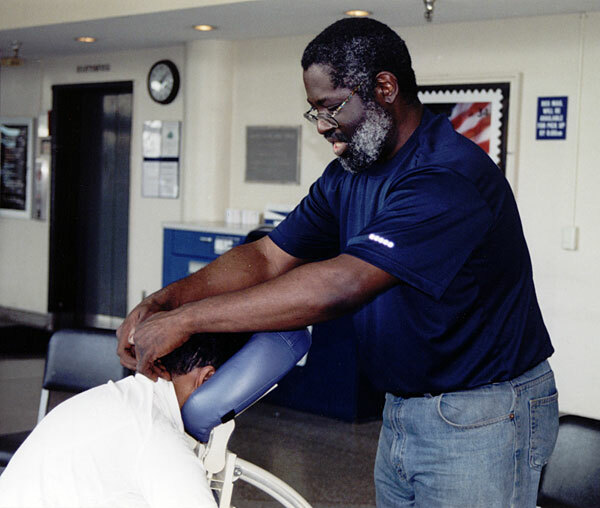 There are many types of massage techniques and Stress Less Massage Clinic can provide a variety of these techniques. Many of the techniques are defined below. Accupressure involves using finger pressure (not needles, that's accupuncture) on specific points along the body. Accupressure stimulates and activates specific points in the body to help fight illness, correct energy imbalances and restore more freedom of movement and range of motion with less or no pain. Myofascial Release is a very gentle, highly specialized stretching technique used to treat individuals with a variety of soft tissue problems. Since unequal muscle tension can compress nerves and cause muscle pain, myofascial release gently equalizes muscle balance throughout the body to decrease repetitive pain and muscle imbalance. Polarity is a specific type of energy work that uses electromagnetic energy present in the human body. Brain waves and EKG readings are scientific examples of this type of energy. The therapist is able to focus and direct this energy to targeted areas. Only very light touch, and in some cases no direct contact, is needed due to the electrical nature of this technique. Many have benefited from polarity therapy at times when most direct contact with the body would prove painful. Causes for sensitivity to touch may include fibromyalgia, recent injury or recent surgery. While beneficial for individuals in all stages of health, polarity is often used to promote much faster recovery and healing from injury, and to reduce or eliminate short- or long-term pain. It is also known for its ability to convey a sense of well-being and deep relaxation. Range of Motion Increase gently and slowly works to restore normal range of motion to the limbs of the body where movement is unnaturally limited by muscle tension or reduced mobility due to past injury or overuse. Sports Massage addresses the needs of individuals who regularly place increased physical demands on their bodies through regular exercise or physical work. It is typically used before, during and/or after athletic events or physical work and helps to alleviate the tension and stress that accumulates in the body's soft tissues during physical activity. Sports massage helps to prepare an individual for peak performance, decrease fatigue, relieve swelling, reduce muscle tension and increase flexibility and circulation to help prevent injuries and promote healing. Sports massage can relax tight muscles, tone loose muscles, ease chronic pain, break down adhesions of old injuries, reduce recovery time between athletic events and balance muscle activity. Swedish massage includes a wide variety of techniques. What these techniques have in common is their purpose and effect. Generally, Swedish massage involves the use of long, gliding strokes as well as kneading, pressing and rubbing in a light to medium pressure. The main purpose of Swedish massage is to release toxins from the muscles, increase oxygen flow in the blood, and overall relaxation.